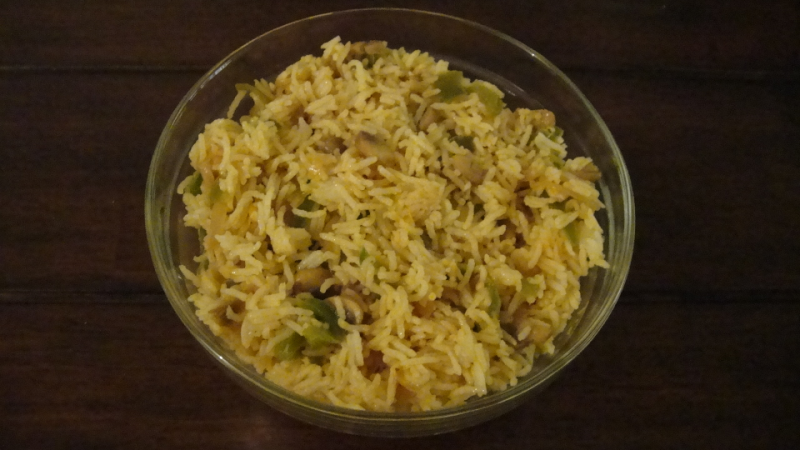 a good vegetarian rice dish that can be made quick and easily!! heat oil in a kadai and saute onions till soft and without changing colour. stir in the mushrooms and capsicum and fry on high adding the red chilli and garlic powder. add salt to taste and keep stirring till they are cooked well. add the ajinomoto and the vinegar also and cook for another few minutes. turn off the gas and mix the rice and combine together. serve hot with raita of your choice or as it is.